Who was Jesus---really? Has the real Jesus been so buried by tradition and legend that he is now lost to people living in the 21st century? Historian Dr. John Dickson sets out to discover what we can know for certain about the life of one of history's best known and most influential figures. In a captivating journey across the globe, John Dickson examines ancient documents and consults the world's most respected historians and scholars. Beginning with the Gnostic Gospels, he crisscrosses continents on a search back through time for the historical sources that reveal the real Jesus---a search for the Christ Files. Filmed in seven countries the documentary reveals the earliest and most important manuscript evidence for Jesus of Nazareth, including the writings of Josephus, Tacitus, the apostle Paul and the controversial Gnostic Gospels. 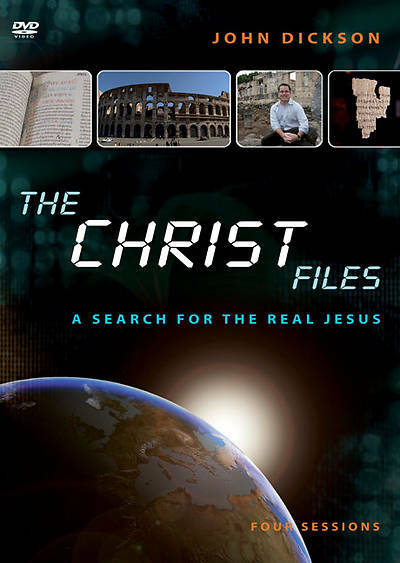 Neither a work of fanciful scepticism nor of Christian propaganda The Christ Files provides viewers with a front row seat to the facts behind Western civilisation's most influential story. Interviews with twelve of the most prominent scholars and historians and access to some of Israel's most important archaeological sites give this documentary a unique authority. Includes a one-hour documentary version and over six hours of extended interviews with the world's leading scholars and historians: Richard Bauckham, Markus Bockmuehl, James Charlesworth, James D. G. Dunn, Sean Freyne, Martin Hengel, Alanna Nobbs, Adolpho Roitman, Peter Stuhlmacher, Christopher Tuckett, Geza Vermes, and N. T. Wright.